Here is a list of recommended products in my digital toolbox that I use everyday. It makes my job easier and allows me to work more efficiently. Many are affiliate links, so thank you in advance if you use them to make a purchase. They’re only for products and services I use and highly recommend. There’s no extra cost to you, but a nice way to say thanks! 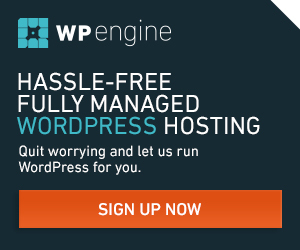 WP Engine Manage WP Hosting. This website is hosted on WP Engine. WP Engine provides best-in-class customer service on top of innovation-driven technology. This is why over 30,000 customers in 120 countries have chosen us for their mission critical WordPress hosting needs. Stunning speed, powerful security, and best-in-class customer service. At WP Engine, WordPress isn’t just our platform, it’s our passion. This site is hosted on WP Engine. Siteground.com. I’ve tried other low cost solutions, but so far I like Siteground. It’s fast, affordable and reliable. Their GoGeek plan is amazing and I love that the WordPress database is on an SSD drive. If you love cPanel and digging into geeky stuff, you’ll love Siteground. Flywheel Hosting: It is built for speed with an incredibly easy to use interface. Their support is amazing, that’s all I can say about it. If you want to FLY without worrying about geeky details – this host is for you. Flywheel makes is so easy to build a site and then turn over the host billing to your client when deployed. StudioPress and the Genesis Framework. The only WordPress framework I use. Responsive design, HTML5, built-in SEO, easy to customize and incredibly fast. Utility Pro theme. Making sure your theme is accessible can be a daunting task. Utility Pro from Carrie Dils makes that easy. It’s the first theme on the market that boasts full support for language translation and adheres to WCAG 2.0 standards for web accessibility. Runs on the Genesis Framework. ManageWP keeps all your sites on the latest and greatest versions of WordPress core, plugins, and themes. 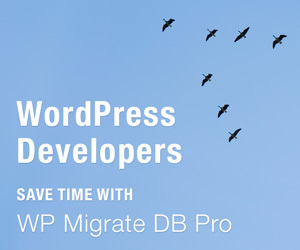 Plus discover the best backup and migration tool available for WordPress. This is the tool I use to manage all of my client websites in one dashboard. Huge time saver for me and a higher level support for my clients. MigrateDB Pro. Who likes messing with SQL and migrating a WordPress database? Not me. Stop wasting time on migrations. I love this plugin..
Local By Flywheel. This is my new favorite for developing locally. It’s free, easy to use and supports PHP 7. I use and recommend Ninja Forms. It’s the easiest and most flexible WordPress Form builder I’ve found! Check out all of the add-on extensions available. It’s a powerful tool. It is my new go to form builder. UpdraftPlus is a powerful backup plugin for WordPress. UpdraftPlus is a complete, general-purpose backup and restore plugin with more features and advanced tools than any rival. UpdraftPlus Premium includes Migrator which clones your WordPress site and moves it to a new domain directly and simply. Easy Digital Downloads powers my WordPress e-commerce store. Absolutely amazing. Need to sell digital products or services? This is the solution for you. With tons of add-ons to power your website. Recurring payments is how I manage monthly site care support. No invoicing, no hassles. Brought to you by Pippin Williamson and friends. WP101Plugin.com is the easiest way to add professional training videos to your client’s WordPress dashboards. This reduces support and adds value. Clients can learn at their own pace and watch as often as they like. Sweet! Lynda.com – I love Lynda.com. I’ve been a Lynda member for the past two years. Want to learn WordPress, PHP, CSS, jQuery, Typography, Adobe Illustrator? How about photography? They’ve got you covered. Really. They do. It is must renewal for me every year. Keep Learning. Check out my tips and tutorials on using WordPress and the Genesis Framework.